I can't count the number of times I've uttered these words. The days of lounging around for hours between classes, days at the pool and long road trips are all but gone. Memories of book swaps, devouring one text after another and hours spent at the library are nostalgic at best. The transition from college into my career was a bit of a rough one. All of a sudden I was working 8-10 hours straight with 5:30 a.m wake up calls. My sincerest of apologies to all the campus students I threw askance glances at when they mentioned their first priority wasn't until 1 p.m. (I'm sorry lol) But seriously! We don't realize how good we've got it in college! The balancing act of work and personal life can be a difficult one especially for young professionals adjusting to the new responsibilities. But truth be told, even the busiest of people have leisure time. The difference between readers and "non-readers" is how they choose to utilize that time. However, let's soberly analyze the idea of being a "non-reader." We ALL read. Whether you're reading captions and statuses on social media or reading a menu, you're reading! Let's abandon the notion that we don't have time to read and let's adopt the possibility of reactivating our imaginations, expanding our minds and transforming thought patterns. In 2013, I rediscovered my love of reading. Whether my nose was in the pages of some transformative self-help book or a delicious piece of fiction, I had found my love of words again! I went from reading a book a year, to almost a dozen that year. For my avid readers, that may be considered unsophisticated reading but for a novice reader, that was a huge step in the right direction for me. The advantages of being done with school is you can read what you want. No more assigned texts that leave you dreading words for weeks after the fact. Ever had a book suggested to you as a "must read" and been left less than impressed with it once you read it? Yep. Me too. Find a topic or genre that piques your interest and indulge in it. Similar to that show you refuse to miss (How to Get Away With Murder anyone? ), an exciting book can pull you in and cause you to MAKE time for it. I am a huge planner. If it doesn't go in my planner, it isn't getting done. I schedule my workouts, meetings, hang outs, etc. So why would I expect my reading to be any different? I took a look at my schedule each week and picked three 15 minute slots of time to devote to reading. I know it may not seem like a lot, but it was a manageable and realistic goal for me at the time. As you begin to fall in love with reading, there will be a natural increase in the time and frequency allocated for your new guiltless pleasure. I know, I know. Some resolutions don't last but it helps to have something to aspire to. Whether your goal is one book a month or just devoting time each week to reading, set a goal! You may surprise yourself. 6. Join a book club! There's power in numbers. Having a book club of my own has proven this to be true. Find a community of readers who are reading something you're interested in or have been meaning to read. Not only does it provide lively discussion, but it also provides an opportunity to make new friends and accountability with your new reading goals! 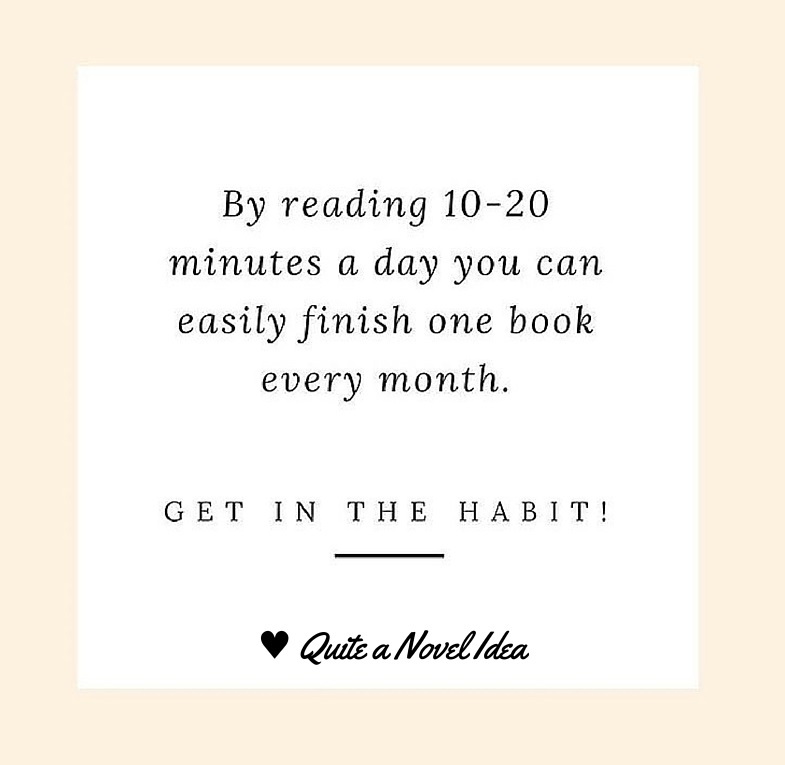 Do you plan on making more time to read? 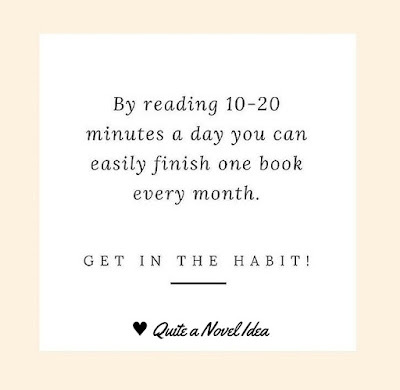 I totally agree that you need to schedule reading in your day! So guilty of staying up too late scrolling through my phone instead of reading. Another tip- tell people what you are reading! That helps keep me accountable for actually picking up my book. I LOVE the reading before bed tip! I can't remember the last time I did that. Definitely something I can implement today. You are doing such a great job blogging, I love it! Great tips! I also agree on reading what you love and always having a book on hand! Great tips! I'm actually in my first year of college and haven't had too much time to read for pleasure. I'm doing better this second semester than I did my first as I'm putting it as a higher priority, but I'm still nowhere near reading the amount of books I did during high school. These are really good ways to keep reading. I found myself going through an awkward reading transition following the end of uni to trying to find work. After my exams I had all this free time in the run up to graduation and that is when I found myself reading again for my own enjoyment. I then had a 6 month search for a job which was even more free time to read (I loved it, I hated being broke, though) and then when I started working I found myself losing my reading time. I'd take lunch with friends at work and my commute was too short to really get into a book. It was hard as I learnt to make time for reading but it's surprising how easy it is to do once you've started. The thing about reading is you can do as much or little of it as you want and being comfortable that sometimes life gets in the way, but you can always find 15 minutes before bed to treat yourself to a few more pages. Hey, great post! Since completing school I have found more time to read for pleasure but also to read books that provide professional development opportunities. Maybe, if you have not already done so you could write a post about how you go about setting reading goals and what that schedule looks like. Thanks again and keep posting!